Golden yellow flowers and deliciously scented leaves. The tree marigold (Tagetes lemmonii) is also known as mountain marigold, Mexican bush marigold and tangarine marigold. It is a delightful, vigorous, tough plant that grows as a sprawling large bush or small tree to 1.5m with narrow, segemented light green leaves that smell like lemon, mint and tangarine combined. Flowers are bright golden yellow and appear in autumn and winter providing bright splashes of colour for many months. Grow new plants from seed planted in spring or by taking cuttings in spring or autumn. 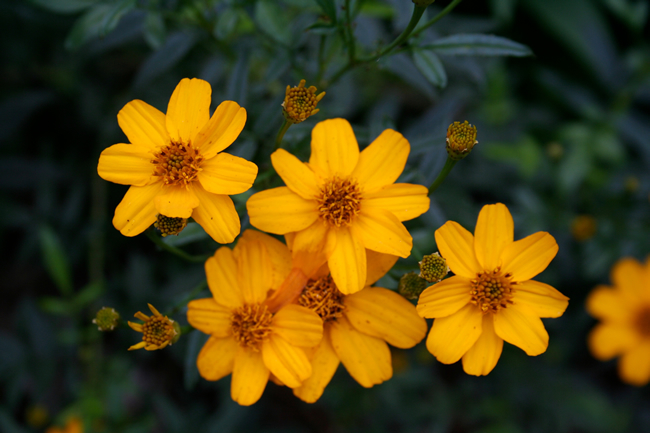 Tree marigold will grow in most soils as long as they are well drained and it likes a sunny but sheltered position. I’ve found that it needs very little water so it’s a great candidate for that hard to reach spot where it won’t get much attention and where you might regularly forget to water. Cut it back every now and then to promote flower growth and keep the bush from becoming too straggly. 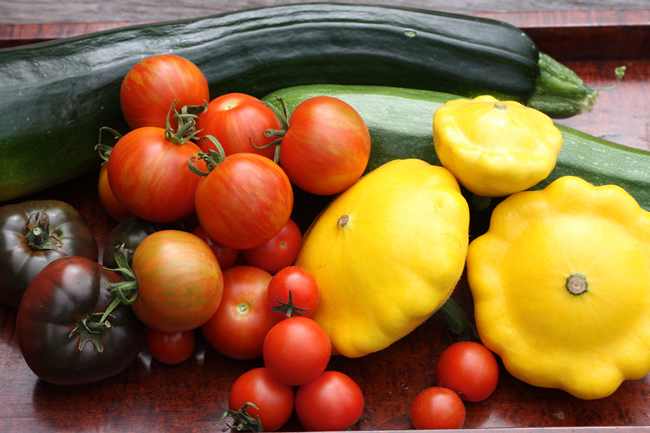 I’ve had a cornucopia of cucurbits this year, with lots of ‘Black Beauty’ zucchini and and bright yellow button squash. The pumpkins are not producing as prolifically because I planted them in an out of the way position with not enough sun, but the plants are still growing and the pumpkins are getting bigger. Unfortunately, for the last few weeks the powdery mildew has also been growing. Powdery mildew is a fungus that attacks cucurbits (zucchini, marrow, pumpkin, cucumber etc) and grapevines, some fruit trees and a range of other plants including begonias and roses. It first appears as pale grey spots on the surface of leaves, spreading to cover the whole leaf and stem. If untreated, eventually the whole plant will shrivel, brown and die. Powdery mildew is most prevalent in moderately dry regions, when the weather starts to cool in autumn and where water sits on foliage for long periods. Almost counterintuitively, it is less likely to be a problem in wet weather as well as very hot, dry weather.